Sporting top speeds of 48.6 kph and armed with four medium lasers, a Gauss rifle, a large laser and an SRM-6, this is what Misery truly looks like. Additionally this gigantic update brings pilots the chance to nab the new Jenner Champion Trial Mech as well as the hugely anticipated option to customize the color of all Hero Mechs – get all of the goods in the Mech Lab and start customizing now! In addition we also get a little speed with four new trial Mechs, a new Buccaneer Premium Pattern, and three new cockpit goodies. 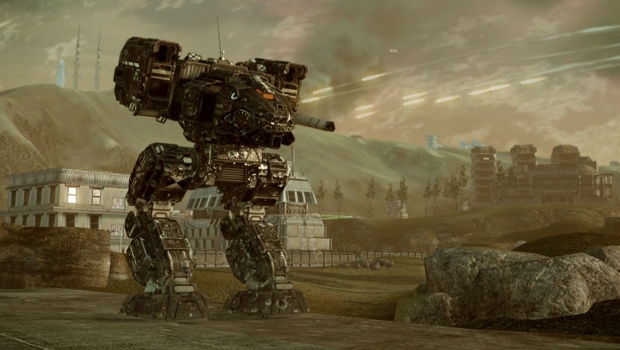 The mechs are the Jenner JR7-F(C), the Hunchback HBK-4G, the JagerMech JM6-S and the Highlander HGN-732 – all of which can be stomped out into the field for free. The cockpit goodies are statues for the Dragon, Awesome and Cicada. You can check out the full list of updates in the patch at http://www.mwomercs.com – see you in the field, Commander. Until then, enjoy the trailer and screens.